Liberal, progressive, leftist, or radical or something else, what do people working for transformative political change on the left call themselves? This is a challenging problem for people in the movement and a challenge for the media that covers our actions. And, these labels are often used to confuse people by partisans in the Democratic Party. Democrats have a tendency to steal words that are effective. 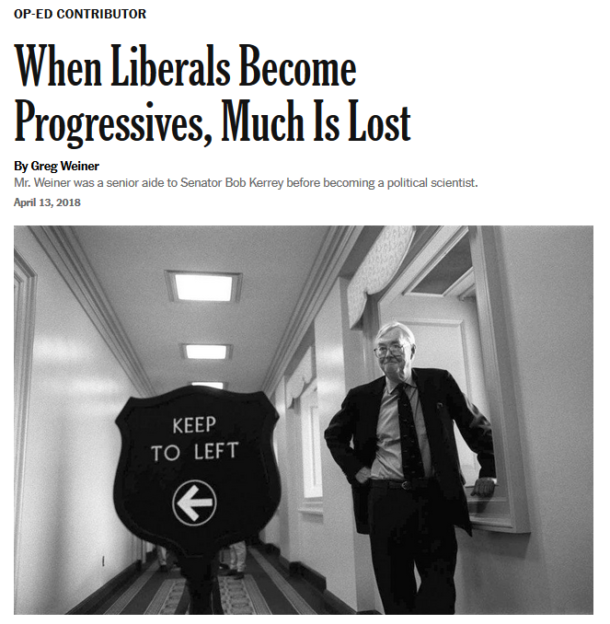 They used to be called “liberals” when that was a popular term, as the NY Times recommends in this article harkening back to the days of Senator Daniel Patrick Moynihan. When the Democrats took that label, some who saw themselves as left of liberal, people who wanted more change and opposed wars that were often supported by liberals took on the name “progressives.” But now, even Hillary Clinton calls herself a progressive. She would be viewed by those in the movements as right of center and someone who protects the status quo of Wall Street, big energy, and war. Then, the movement developed a resistance movement, e.g. occupying public space, blockading pipelines, taking over roads and highways and disrupting business as usual. Now, the word resistance has been taken on by the Democratic Party and some former members of Hillary’s Clinton’s staff claim to lead the resistance. Those who become more educated on these issues realize that we are seeking radical change. Radicals go to the root causes of problems and seek thorough or complete political or social transformation. We see systemic problems in the economy, government and foreign policy. We are not looking for mere reforms, we are seeking changing to a new system that provides for the necessities of the people, ends racial discrimination and white privilege, protects the environment and reverses its degradation and a foreign policy not based on force on the hegemony of one country, but based on a community nations that solves problems together. Greg Weiner (New York Times, 7/13/18) puts forth Daniel Patrick Moynihan as the exemplar of the liberal, anti-progressive politician. A New York Times op-ed by political scientist (and former Bob Kerrey aide) Greg Weiner (7/13/18) may well be the New York Times–iest op-ed ever. Its ostensible subject is why Democrats should call themselves “liberals” and not “progressives.” But in making that case, it hits most of the main points of the New York Times‘ ideology—one that has guided the paper since the late 19th century. Nothing structurally impedes compromise between conservatives, who hold that the accumulated wisdom of tradition is a better guide than the hypercharged rationality of the present, and liberals, because both philosophies exist on a spectrum. Something that doesn’t change is the right wing of the left’s attraction to redbaiting. Weiner praises “the Cold War liberal who stood for social amelioration and against Soviet Communism,” a figure who “was often maligned by progressives.” Without coming out and accusing progressives of Stalinism, he describes progressives’ response to critics as “a passive-aggressive form of re-education,” one that “supersedes the rights of its opponents.” The example he gives of this is the “progressive indifference to the rights of those who oppose progressive policies in areas like sexual liberation”—an odd arena to cite, since the main “rights” that opponents of “sexual liberation” have demanded in recent years are the “right” of small businesses to discriminate against gay customers and the “right” to check the chromosome status of people who use public restrooms. The philosophy espoused is perfectly normal straight-line Republican. This is what Democrats should endeavor to emulate? Why not just switch parties then? Or have the two parties merge, and an alternative could form on the left, along with another on the right–although THAT space is now occupied, uncomfortably, by the Republican Party. Yea, in a nutshell that is it. While I consider myself economically and socially progressive to change for all people, for the betterment of humankind, the political label applications of me being in some perceived sphere is disheartening at times. I do my best to avoid the labels and state on how I stand with issues. But once a label is applied, the other side, even as they claim they are “with me”, somehow leaves the discussion as if they won the debate with the application of said label. And the (US) “liberals” act astonished at why we have someone like Trump and the current congress in power. “Or have the two parties merge, and an alternative could form on the left,” Yes, corporate Dems should join the Repugnants, and the honest progressives join us Greens. Sounds good to me! But it won’t happen–doesn’t suit the agenda of our Masters. They benefit from the endless pretense, the perpetual Lesser Evil, the game…and the drain every four years of leftish energies and resources down the rathole of electoral politics. The leadership of both parties have long abandoned reason and perverted the english language in favour of lucre. I would place them both in the fascist/corporatist category (and flunk them on their use of the language). The people, however, need to clean up corruption on the local level, stop investing in and working for the war and exploitation industries, and start taking initiatives to rebuild their civil structures along lines of justice and equality. There is no way to have a substantive discussion when most do not understand the terminology, or define them differently. It really is another reason to stop reading and listening to mainstream propaganda, and stick to alternative media and specific issues. There has been a lot of discussion about political terms like ”progressive” that have nearly lost any uniform meaning. There was still a time a clear division between classical Progressives like Dennis Kucinich and David Obey could be differentiated from classic Liberals like Nancy Pelosi and Pat Moynihan. Few people really understand that division anymore unless they are regularly watching the Jimmy Dore Show.